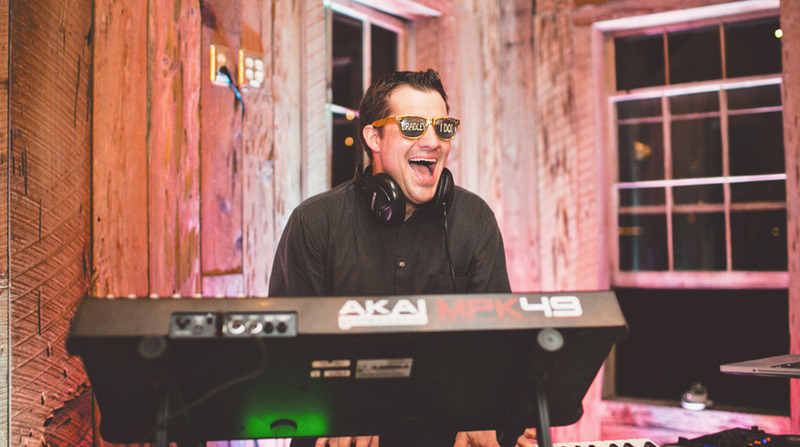 When it comes to wedding reception music, I am more of a band girl because I like the aspect of live music and interaction….BUT, if we are talking about Darby Events, then I am ALL for a DJ! Stephen Darby puts a very unique twist on the classic wedding DJ and it is incredible (you will see in some of his videos below). Now I don’t want to give too much away, but Stephen’s skills vary in many different spectrums. 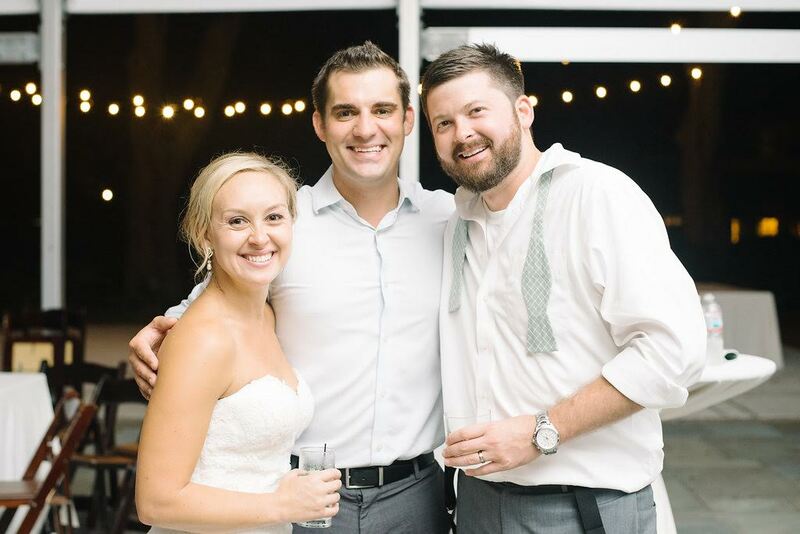 Find out how he got started and the hilarious requests he has gotten from client’s in his Wedding Wednesday Spotlight! 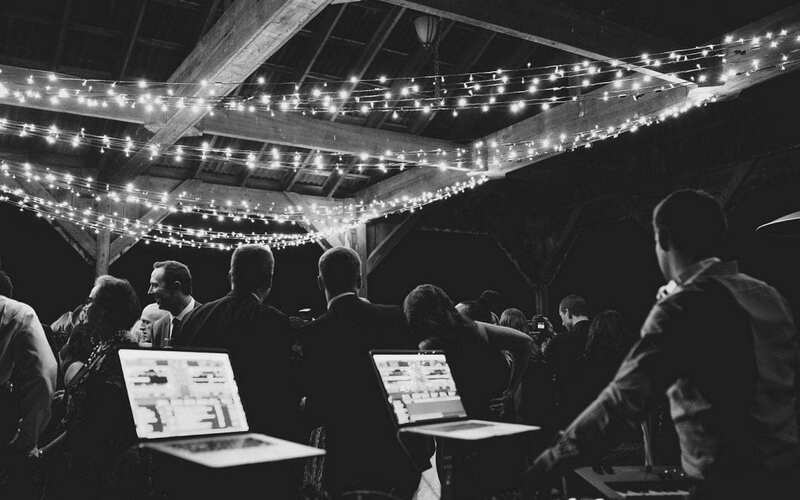 HOW DID YOU GET STARTED AS A WEDDING DJ? I am a former classical pianist from the College of Charleston (GO COUGARS!!!) and started performing as a commercial DJ opening as the supporting act for nationally and internationally recognized artists. Music has always been in my blood and my training as a pianist has really helped with my transition in to DJing and performing. Now I channel all of this experience into high-energy weddings! WHATS THE MOST UNIQUE THING YOU HAVE SEEN DONE AT A WEDDING? I DJ’d the wedding of professional fisherman and he arrived to his ceremony, on the water, in his tournament fishing boat. WHAT IS YOUR FAVORITE ASPECT OF A WEDDING? My favorite aspect of weddings is the happy, up beat environment. This is one of the most important days in these couples and families lives and they are just so happy and excited to be celebrating the event itself. 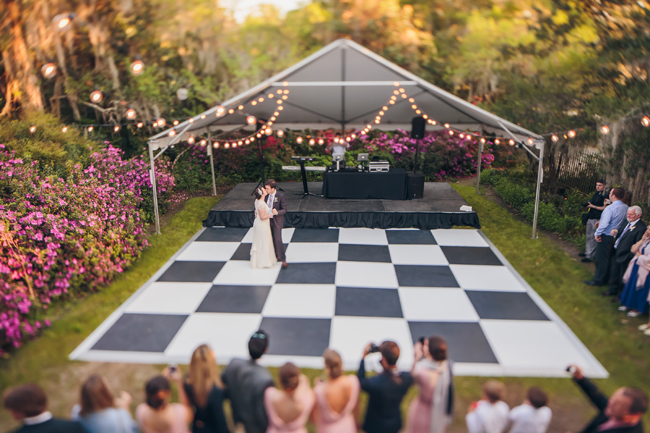 Its an amazing setting to be able to perform in and I gain a lot of momentum and satisfaction from seeing how happy my couples and their friends are on their special day. WHAT TREND DO YOU HOPE LIVES ON FOREVER? WHAT WEDDING SONG WOULD YOU BE OKAY IF IT WAS NEVER PLAYED AGAIN? YMCA by the Village People. It makes my ears bleed. WHAT TREND DO YOU HOPE DIES TOMORROW? IF YOU COULD DO ANY OTHER PROFESSION FOR A DAY, WHAT WOULD IT BE? Hands down, a pro golfer, hopefully the final day of the Masters. IF YOU COULD GIVE ADVICE TO YOUR 21 YEAR OLD SELF, WHAT WOULD IT BE? SLOW. DOWN. I have spent the majority of my life working and performing, mostly on the weekends, and have missed a lot. When my friends were partying, at football games, and hanging out, I was practicing music and working. At times I regret not taking a moment to stop and enjoy life, friends and family, but know that I never would be where I am today without this type of work ethic. Its bittersweet. WHAT IS THE MOST DRAMATIC OR OUTRAGEOUS SITUATION YOU HAVE FACED YET IN THIS INDUSTRY? This is a great question. I absolutely could write a book after what I have seen at almost 600 weddings, but its honestly a tie between 2 situations. The first being a wedding in Downtown Charleston where the father of the bride was not allowed on the property, but SOMEHOW snuck in, and came running down the aisle screaming his daughter’s/the bride’s name right in the middle of their ceremony. This was directly followed by her father being wrestled down by security and arrested by police – all in a matter of maybe 3 minutes. As this is all happening, the Ceremony continues and none of us missed a beat. The bride and her new hubby were pronounced husband and wife, I hit play for the processional song, and they both walked right past him while he was restrained, on the ground, in handcuffs. It was like a movie and the bride didn’t even bat an eye at was happening. I was very impressed with her and dumbfounded by what was happening. The second situation, we had a bride who had a little too much to drink before her wedding. She literally disappeared and when it came time for their first dance, no one could find her. One of her bridesmaids later discovered her asleep in the bridal suite. She had gotten sick, her dress was destroyed, and I literally just played music for her wedding guests until it was over as she was unable to participate in any part of the remainder of her wedding. Needless to say, it was very awkward! WHAT IS THE LARGEST GUEST COUNT YOU HAVE WORKED WITH? WHAT KIND OF AWARDS HAVE YOU RECEIVED FOR YOUR WORK? I have been featured in 27 different weddings published in national publications including Vogue, Premier Bride, and Martha Stewart Weddings. I have had the opportunity to perform for numerous celebrities and politicians all over the nation and the world! Recently I was just featured and recognized by Billboard magazine in an article, being published this Fall, as one of the top 5 wedding DJs in the USA. WHERE IS THE COOLEST SPOT YOU HAVE DONE A WEDDING? It’s a tie – one being a private island in the Bahamas only accessible by helicopter or boat, or a wedding in LA for an amazing, very well-known actress with a guest list stacked full of actors ands actresses I have been watching on TV and in movies for years. By far the most star struck I have been to date. WHAT IS THE STRANGEST REQUEST YOU HAVE GOTTEN? Isn’t his stuff incredible?! And that strange request….I was literally rolling on the ground laughing. Too funny! Thank you for sharing your experience and entertaining events with us, Stephen. Looking forward to our wedding together this coming September!